Enjoy a leisurely stroll along the beach or sprint through a nightmare world in Avatar Runner. With a unique scoring system, collecting items builds up your combo. These points are only earned when you bank so if you make a mistake - all your combo is lost. There are several songs, themed worlds and difficulties that combine into over 30 different runs. You can also play to music in your Xbox 360 library, with the running keeping pace with the tune. 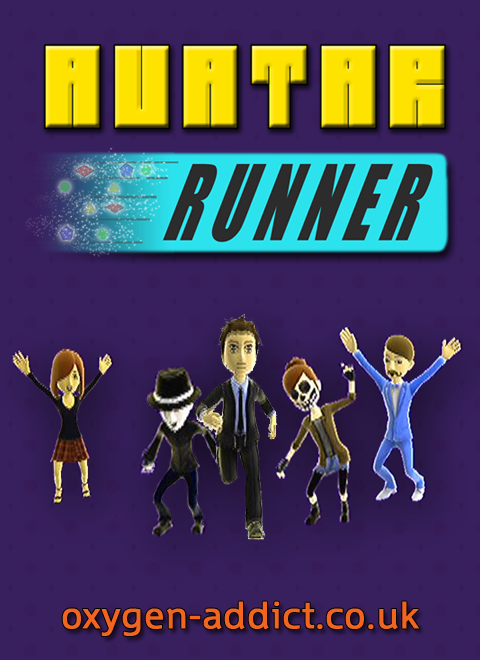 The Tournament mode in Avatar Runner lets you compete against your friends across several different runs. Can you beat everyone to win the challenging Oxygen Addict Cup? Enjoy a leisurely stroll along the beach or sprint through a nightmare world in Avatar Runner. With a unique scoring system, collecting items builds up your combo. These points are only earned when you bank so if you make a mistake - all your combo is lost. Run to your own music library with a custom run and compete against friends through tournaments.It costs just $1 or 69p or whatever the lowest cost is in your local currency. Avatar Runner isn't all chillaxing on a leisurely run through a sun filled world. I explore some of the diversity in the game.